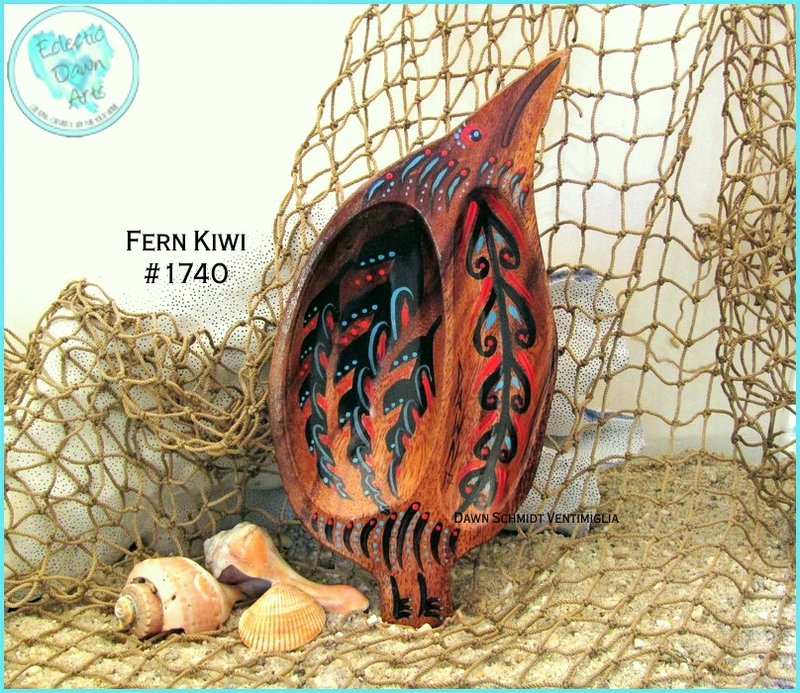 Sealife Ocean Tiki Animals Birds Plants MidCentury & Abstract Inspiration India Seasonal Mandala & Labyrinth Signs Looking for more peacocks? See our “Inspiration India” page! 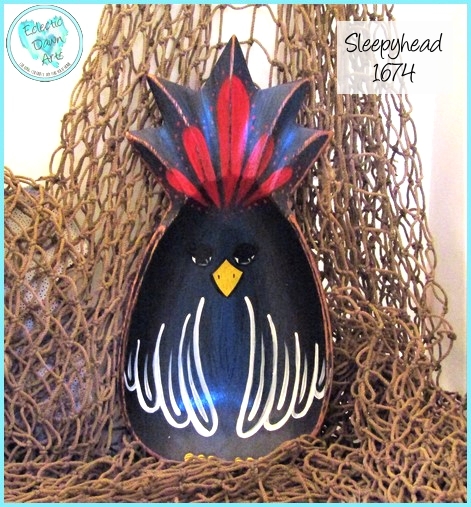 'Sleepyhead' TB1674, blue chicken trinket tray in dark blue, black, white, red, yellow, with a distressed finish. Accessories not included. 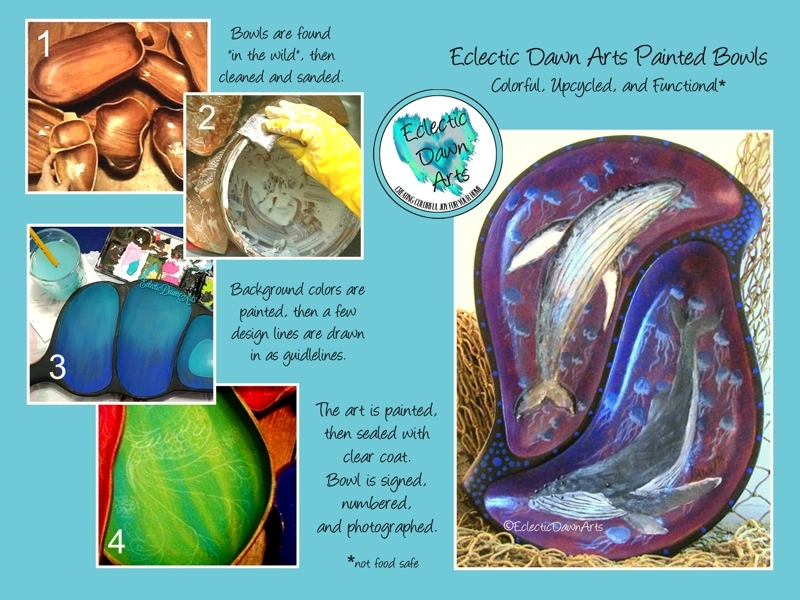 ~8 x 4 inch (sizes are approximate). 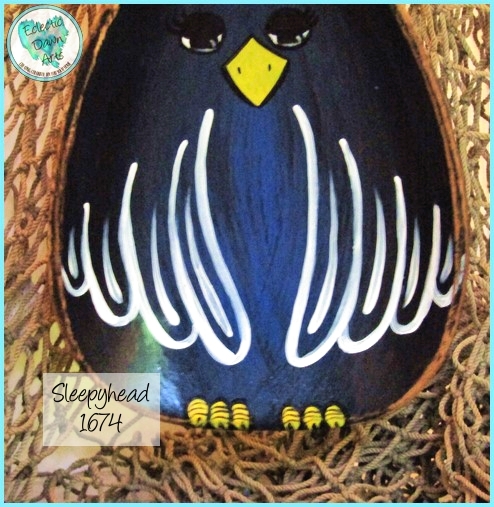 This whimsical dark blue hen looks sleepy! A perfect gift for those who love chickens, they can use this tray for keys or jewelry, or set it in a spot where folks can get a chuckle out of seeing her sleepy eyes. Free shipping. Not food safe, clean with damp cloth, do not put in dishwasher. 'Go To Bed, Son' Trinket Tray TB1679 (accessories not included). ~14.5 x 7.75 inch leaf shape (sizes are approximate due to the organic shapes). Family - gotta love 'em! Three stylized whimsical owls are painted sitting on a branch, with mom and dad owl saying goodnight to their son. Snow-covered mountains loom in the distance, stars in the night sky. 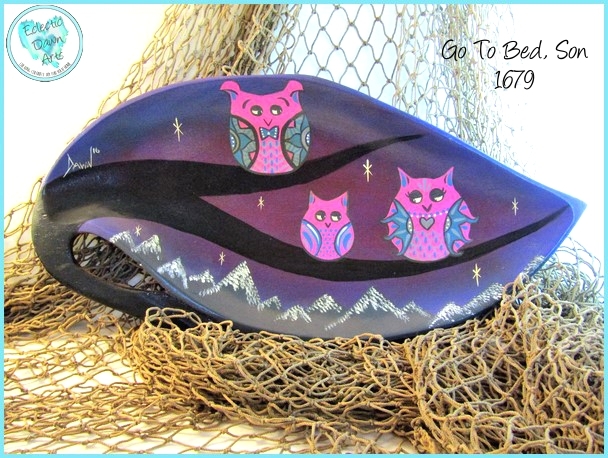 This humorous boho owl piece will be sure to bring a smile to any owl collector! 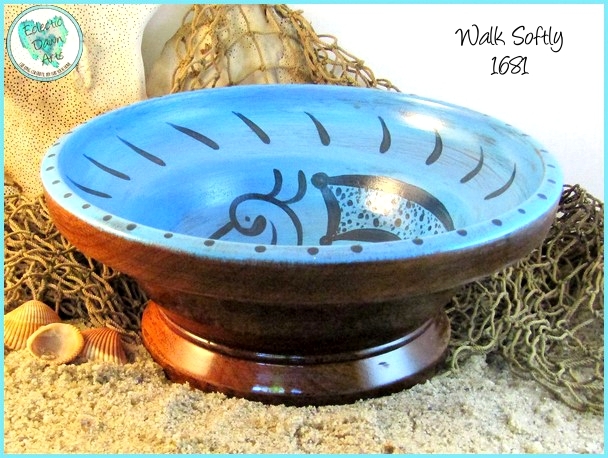 A perfect place for jewelry, keys, coins, or just for a pop of color on a table. This piece is NOT monkeypod, it is a very light weight wood. Free shipping. Not food safe, clean with damp cloth, do not put in dishwasher. 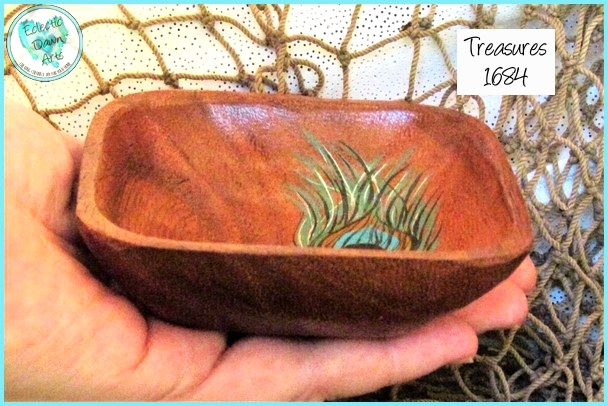 'Treasure' Trinket Tray, Ring Keeper, or Decorative Bowl, TB1684, accessories not included. ~4 inch square. 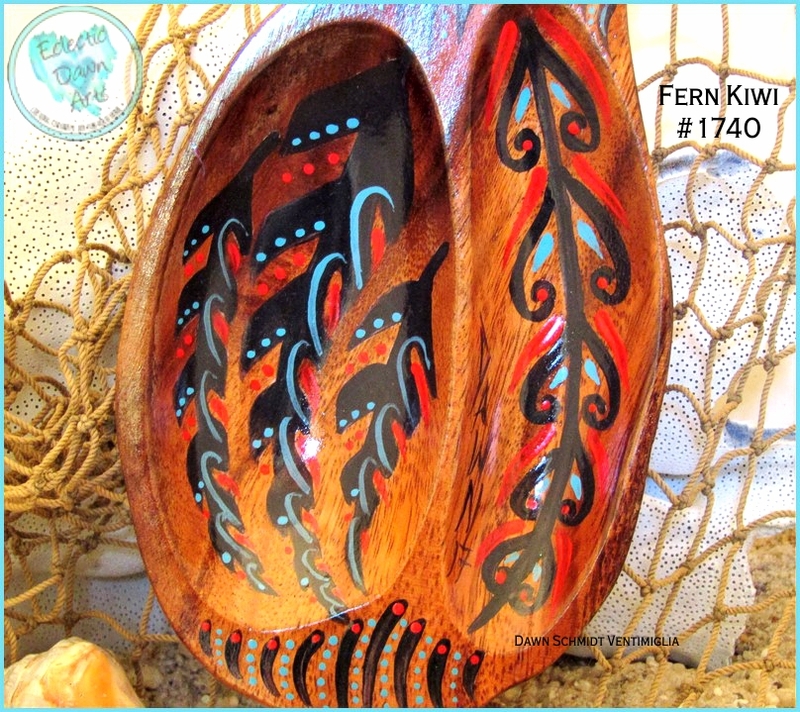 A pretty place to set your earrings at the end of the day, this hand painted peacock feather in a dainty bowl is perfect for gifting or for treasuring. Free shipping. Not food safe, clean with damp cloth, do not put in dishwasher. 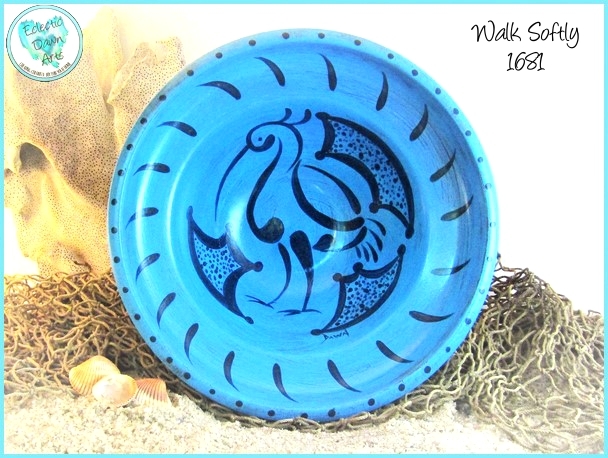 SOLD This design in beautiful blues is based on a medieval Turko-Persian pottery design. 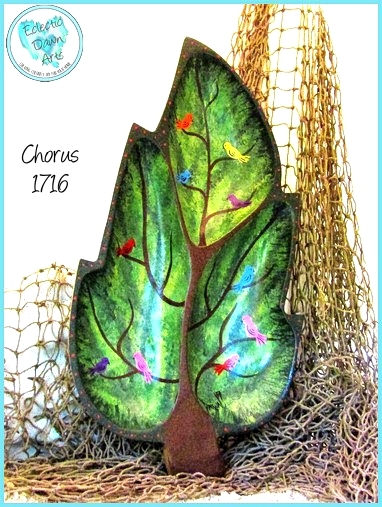 #TB1716 : 'CHORUS' Trinket Tray or Decorative Tray (accessories not included), ~14.75 x 7.5 inch 3 section tray (or shallow bowl) (sizes are approximate due to the organic shapes). Imagine having your own tree full of colorful birds...indoors! 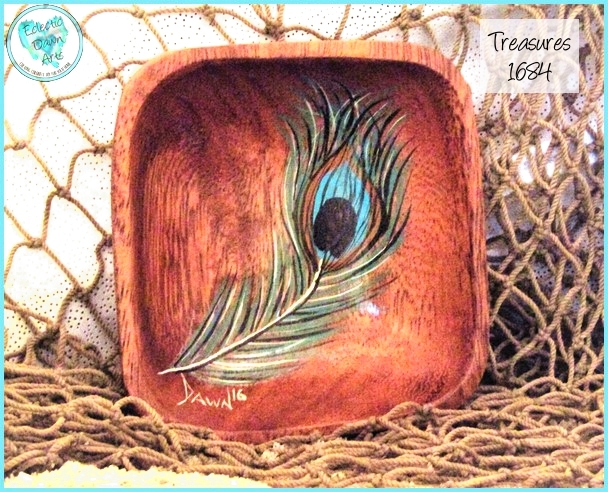 This wooden tray is handpainted with foliage and multiple perched birds, and would looked great "planted" anywhere in your home. 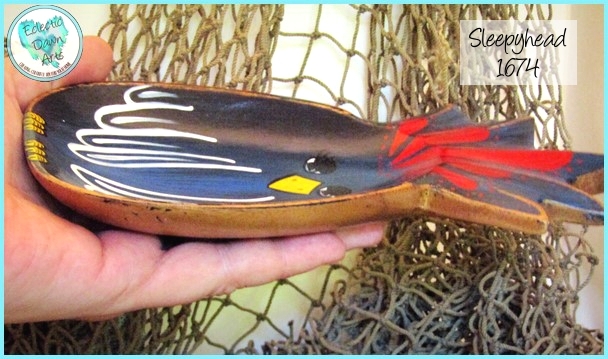 Though it is a decor item, it is also functional. Us for wrapped candy, jewelry, as a key bowl, for paperclips, or other odds and ends. Free shipping. Not food safe, clean with damp cloth, do not put in dishwasher. 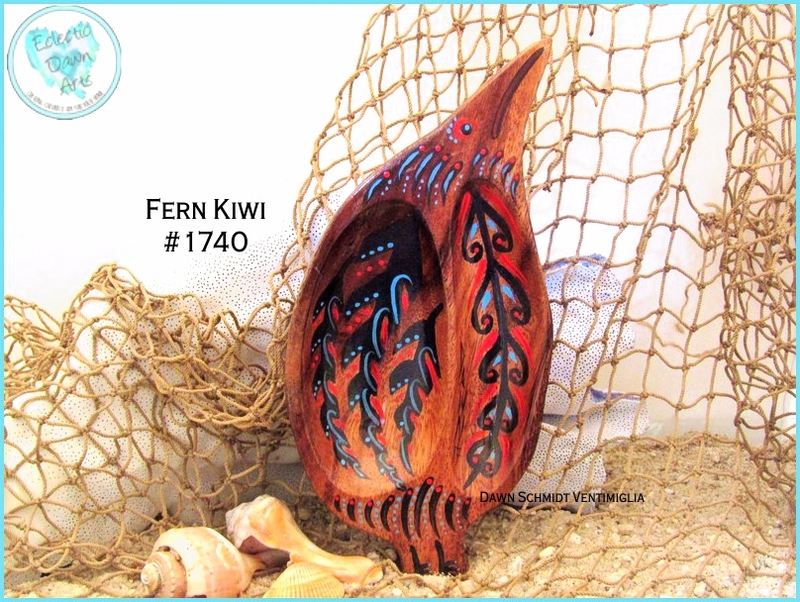 #TB1740, Fern Kiwi, ~9 x 4.25 inches (sizes are approx.) 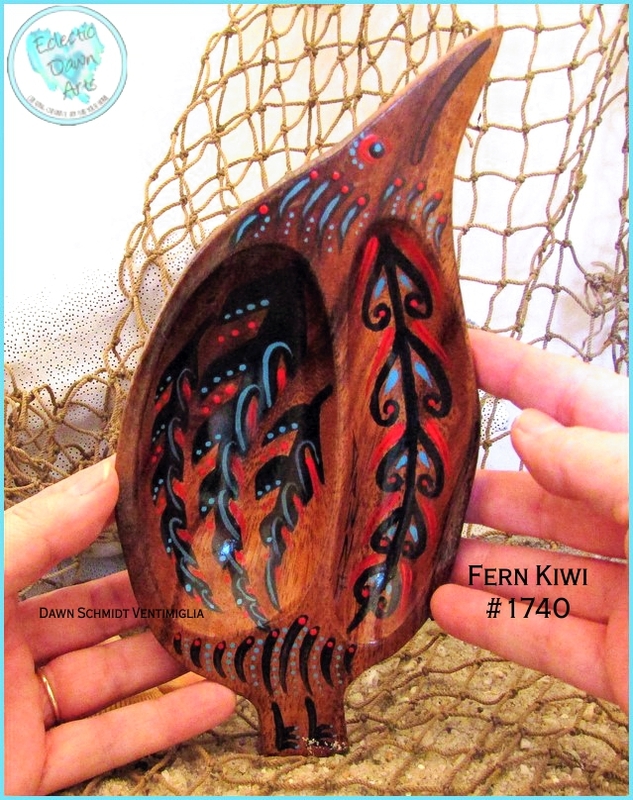 Aboriginal design reminiscent of New Zealand peoples brings this abstract tribal kiwi bird to life as a small trinket tray for your keys, watch, or earrings. Free shipping. Not food safe, clean with damp cloth, do not put in dishwasher.